YUMMIE. Awesome Chloé look-a-likes from scorett! 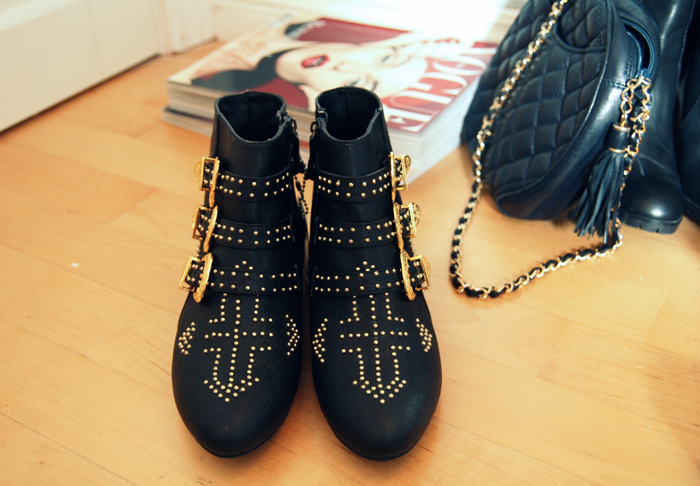 Oh my god…words can’t explain how cool these boots are! Officially jealous :) Oh well, at least they’re definitely in good hands! De är mina med och det tycker jag är himla trevligt!! I’m dead. I mean, I just died. Where are these beauties from? Oooh hello to you, pretty things! oh. my. god. pretty! where did you get them?! Herre min så fine sko! Elin: Japp! Jag tror att de ska komma ut i alla butikerna men jag är inte 100% säker! I love how these have a cross one them (And lightning bolt!). These are from Chloe, no? I love them, great choice! You’re so lucky to have gotten your hands on them! they are perfection similar to chloe no?! you have to tell me where you got them from! Hello indeed!!!! they are gorgeous!!!!! Great shoes. Love your blog also. Im officially jealous!!! OMGGG i want it!!! O MY GOD, I have no words to describe the hotness of those shoes!!! God, they are soo pretty!!!! So yum! Can’t wait to see you build an outfit around them! Fabulous! Definitely has the look and feel of the real thing. 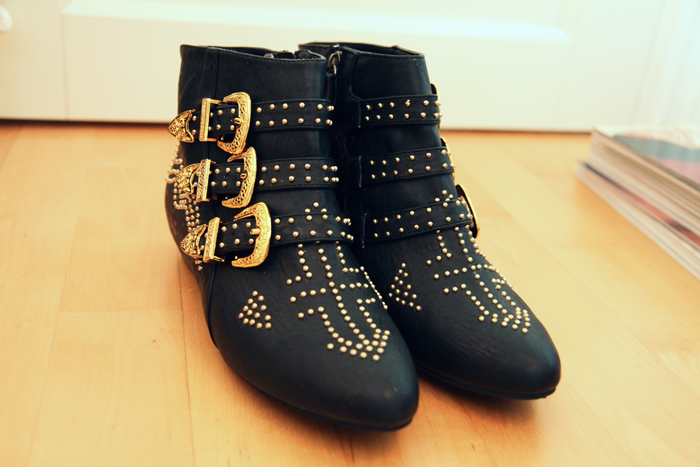 These boots are hot! Does anyone know if you can buy them online? Or in the UK. I have to get some! Ooooh those are amazing – love them! um could you have a more amazing shoe collection? i think not. these might as well be the susan’s. soooo amazing. omg can we buy this from the online scorett shop?! Så sjukt fina! De hade hade man inte tackat nej till. 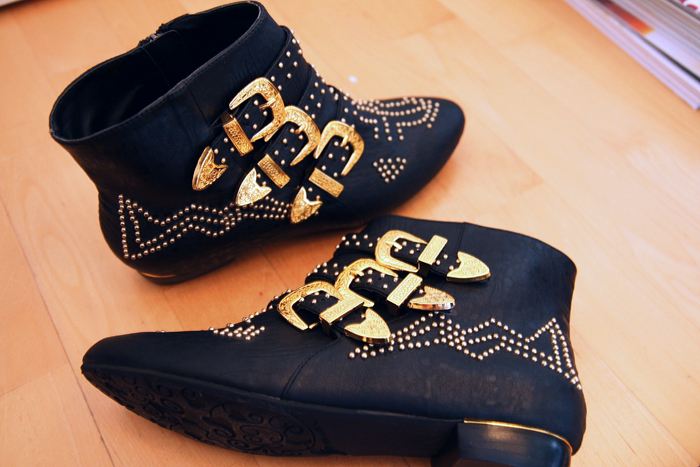 im so jealous of those booties, they are so perfecto!!! they look so awesome on you, im glad though that you got them! 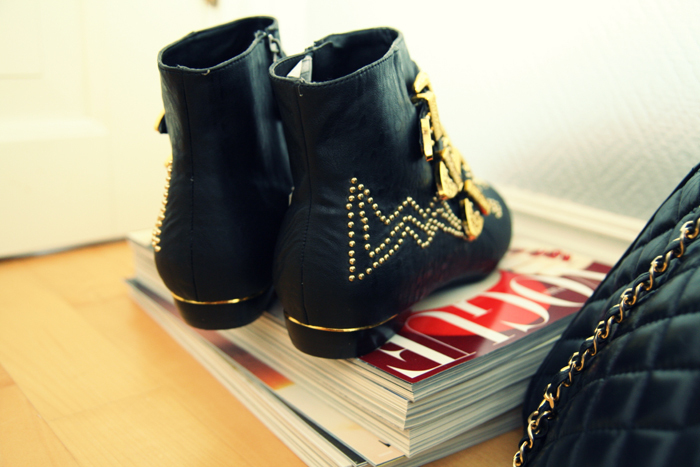 can you please tell me where I can buy these amazing chloe look a like boots?!! Im pretty much obsessed with them and need to get em! I live in NYC and cant find them on Scorett.se??? PLease let me know! OMFG! jag dör va jag måste ha dom.